PartCatalog is excited to introduce a new section in our website dedicated to some of the coolest auto enthusiasts today. These are gearheads who live and breathe cars, trucks, and everything auto. 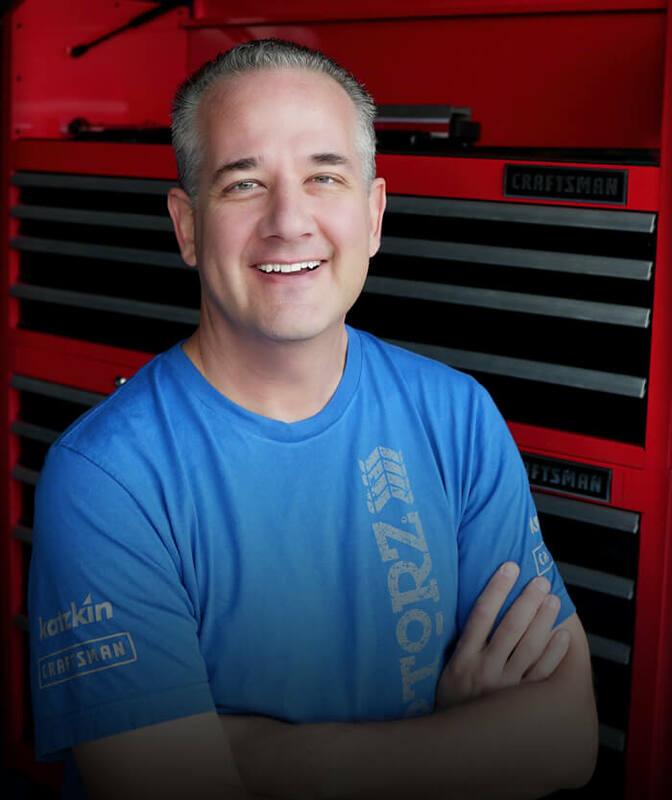 This section will showcase an interview with said auto enthusiasts, delving into their work and how their lives came to revolve around all things automotive. If you or anyone you know fit the bill, we’d love to hear from you! We’re on the lookout for our next auto enthusiast to feature. How did Motorz TV start? Where did the idea come from? Motorz actually started in 2008 as a truck-specific show called Truckblog TV, but once I realized that I wanted to be able to work on ANY vehicle out there, I quickly came up with a new name for the show. My idea for doing the show came out of frustration from other DIY car shows. Typically, they would cut to commercial, and once they came back, all the difficult steps were already done. Even though I had no experience being on camera ever before, I set out to film the first episode for fun. It was well-received by my peers, so I just kept doing it. Over 10 years later, and nearly 100 episodes in, I’m still going strong. What were the most significant challenges you experienced when you were just starting? I wanted to get the show on TV. It was already on YouTube, but I wanted to appeal to the TV- viewing audience as well. It wasn’t until about two years later when I was filming live installs at The SEMA Show in Las Vegas that I was approached by a TV network. They were my first network, with well under 1 million TVHH (television households). Today the show is available to over 200 million TVHH throughout the United States and Canada. What do you think makes you stand out from others in the same field? I give detailed step-by-step instructions, spoken in a way that anyone can understand —whether they are a stay-at-home mom or an ASE-certified mechanic. I never talk down to the viewer. And they can see that I’m having a lot of fun. Motorz TV is educational and entertaining. What's next for Motorz TV? I am starting to work on a classic truck, a 1969 Chevy C10. I’m doing it with this speed shop in Arizona. We will start the build there, but eventually, I will bring the truck out to the Motorz studio in San Diego. This is where I’ll complete the build. It’s a frame-off build, which means we are literally starting with a frame and nothing on it. It’s a huge undertaking and will take multiple episodes. It will be a great example on how you can watch, step-by-step, a truck being built from scratch. Sounds exciting! We cannot wait to see this build unfold. For sure, the new episodes will be a big hit, both among casual and die-hard fans of Chevys. If you want to know more about Motorz TV and Chris Duke, don’t forget to visit their website and subscribe to their show. And if you want a look at some behind-the-scenes photos of Motorz TV, give Chris Duke a follow on his Instagram account as well.